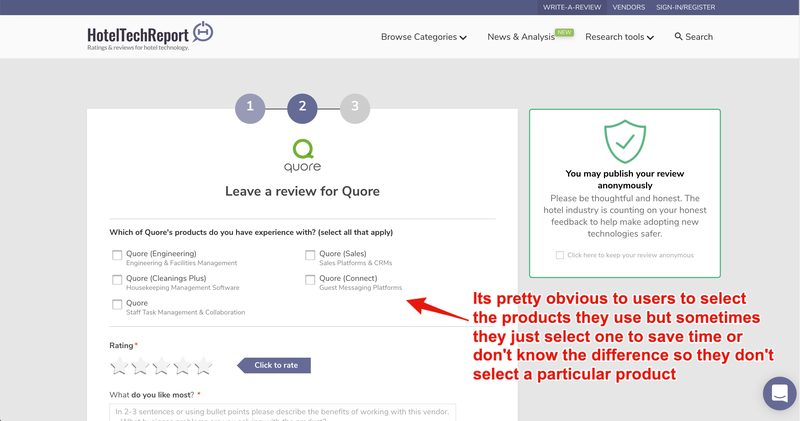 What if a user left a review for one of my products but it appears to be intended for another? As always, we like to thank the first user who brought something that needs fixing to our attention so shout out to Richard from Quore! So what do I do if I think a review isn't showing up on a profile that it should be? Why can't Hotel Tech Report just move the review for me? Changing the location of a review changes its context which requires the user's permission and/or proof as to what happened that caused this user to leave a review in the wrong location (or just not select an additional location where it should be published).